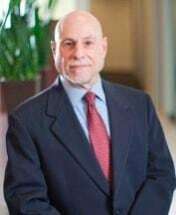 Attorney Marc Mandelblatt has concentrated his practice on assisting small business owners with their employment law needs since he began practicing in 1978. He remains focused on providing cost-effective representation to employers facing questions, complaints or lawsuits from employees. Mr. Mandelblatt also promotes training as a deterrent to future complaints and has personally trained countless human resources executives in his tenure with Employment Training Associates LLC, of which he is the founder.